The later iterations have added the ability to upload both gcode files for printing and the config.g file to setup your printer. Its well worth checking out if you have not done so already. 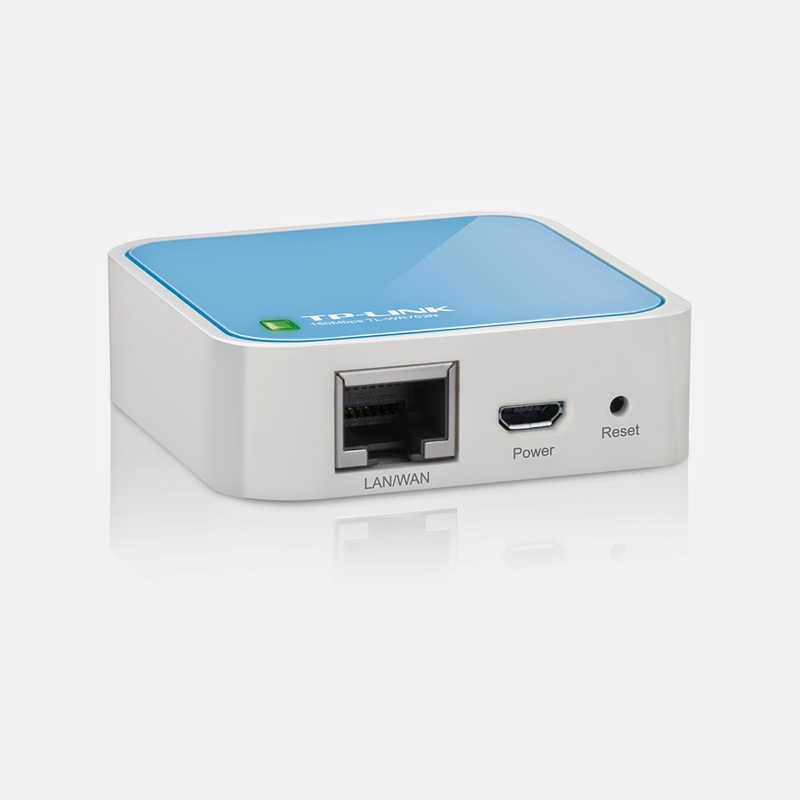 The TL-WR702N Wireless N Nano Router is good value and can be very quickly set up as a ethernet to wireless LAN bridge (I used client mode, show in the link above). That said there a a whole range of cheap wireless routers and this should work well with any one that will act as a wireless bridge. I powered the router from an old mobile phone power adapter. Setting up consisted of connecting via ethernet to the router, setting the IP range to match my wireless network and connecting it to my WLAN in client mode. Turns outs its really quick and easy to add wireless capability to the Duet. Does the web interface support multiple extruders? I'm still waiting for multiple extruder support. Repetier host does not work for Duet Duex4. It has links to the firmware and web interface updates. Did you connect the 5V power to the Duet? ... It also passes data through so it can be used to check the current on devices such as USB drives. Very handy for an iT person who doesn't always have the option to use a multimeter. ;) I have been VERY surprised at what the current is for different USB chargers on various devices even though some are rated higher and were more expensive. Can we disable web interfacing without interrupting printing process if we use duet controller ? I am having trouble connecting through TL-WR702N. I set it to client mode connecting to my home wireless network which I can login to its config page. I have no problem when connecting it directly to my home router with Ethernet cable. I am using Duet 0.8.5 with dc42 1.09o firmware. Can you provide a more detailed steps on how to configure it? Thank you. Hi, apparently the 1.09o version of the firmware might be ait buggy can you revert to 1.09m until those issues are fixed. As far as getting the TL_WR702N to work, all i did was set it to pass the ethernet through to wifi and it worked (with fixed IP), I have not tried DHCP. Are you able to test it using (for example) the ethernet port of a laptop, to see if it is working correctly? Not sure how but I re-flashed and reset everything, now it seems to be working. Thanks. Great news!, glad its working. This is an incredible post. WiFi bring the world near to us. Duet WiFi is high speed and more powerful from the other brand. Thank you for the post.